Our reading from Acts this Sunday begins, “Peter, filled with the Spirit.” Acts is like the Gospel of the Holy Spirit. By my count, the Spirit is named about 60 times in these 28 chapters—compared to 67 times in the 89 chapters of the four Gospels. Acts shows us the power of the Spirit. The Spirit gives Peter the power to preach, of course. But more deeply than that, the Spirit gives him knowledge. He says he acts “in the name of Jesus Christ the Nazorean whom you crucified, whom God raised from the dead.” The Spirit is power, and so is Jesus—the name of Jesus signifies that it is Jesus himself who has power. Then he cites Scripture—another manifestation of the power of the Spirit: “He is the stone rejected by you, the builders, which has become the cornerstone.” Peter knows what they don’t know. The Spirit has revealed to him the power of Jesus Christ. Every Easter season we read Acts. This year of Mark, we read 1 John as our Epistle. And this week John speaks of knowledge and love. “See what love the Fathers has bestowed on us,” he says, and twice calls us, “beloved” agapatoi. But what is the gift of the Father’s love? “That we may be called the children of God. Yet so we are.” There is our identity—and there is our knowledge of our identity. Both are gifts of the Father’s love. Our identity is itself tied to knowledge: what we, God’s children, “shall be has not yet been revealed”—we don’t know yet—but “we do know that when it is revealed we shall be like him, for we shall see him as he is.” We know that we will know. The power of the Spirit is in all this knowing. Every year, this fourth Sunday is Good Shepherd Sunday; we read different selections from John 10. Now, I don’t want to stretch things too far, but—when he says, “A good shepherd lays down his life for the sheep,” it sounds like he is talking about what is common to all shepherds. But first of all, the Greek says, “The good shepherd.” One way to read that is just as a general statement about shepherds, just as the next sentence says what “The hired man” does. But another way to read it is to say, he’s not saying all good shepherds lay down their life, he is describing what The Good Shepherd does (and “the hired man” might be a more significant figure than he at first appears). And the way he says, “lays down his life for the sheep” is literally, “puts his soul onto the sheep.” Yes, it is saying that he is willing to die for them (how many shepherds die for their sheep?). But later, John will say that when this Good Shepherd is pierced on the Cross, he pours out blood and water for them, and when he dies he “hands over the spirit.” Both of these statements have to have double meanings: he lays down his life—and he gives his soul, his spirit, to us. He goes on to talk about knowledge. “I know mine, and mine know me, just as the Father knows me and I know the Father—and I put my soul upon the sheep.” Yes, he dies for them. But they know him because he gives them his Spirit, his soul. That’s what it means to be his: to know him—whose death and resurrection make him the least knowable of all—because we have received the Spirit from him. He goes on to say that he has other sheep who are not part of this fold. “These also I must lead, and they will hear my voice.” They too know his voice, and follow him—but they hear his voice because he leads them, because he gives them his spirit, speaks into their hearts. Why does he talk about another fold? To make clear what defines his flock. It is only Jesus. Wherever Jesus goes, whomever Jesus draws, those are his sheep. It’s not because we were in the right place at the right time, not because we’re part of the right club—but because Jesus has put his Spirit upon us. Don’t make the church more natural than it is. “And there will be one flock, one shepherd”—one flock, because one shepherd. He’s not saying there are alternate churches—he is saying that what defines the true church is being led by him. “This is why” (or: it is through this that) “the Father loves me, because (or: that) I lay down my life in order to take it up again. No one takes it from me, but I lay it down on my own.” True, this is the power of the Resurrection, that he willingly dies and has power to rise again. But it is also the power of grace, the power of the Spirit. He has the power to give that spirit to us, to lay his soul upon us, and thereby to draw us up to him. We have no power to take that spirit—it is not by our own merits—but he lays it upon us. That is the power of the Resurrection: the giving of the Spirit. How can you gave more intently on Christ? It is sometimes said in the Catholic world, “Men, like fish, are caught by their heads.” Just as you have to hook a fish in its mouth, so too, to bring someone into the Catholic faith, you have to hook their intellects. I’ve most often heard this line in connection with apologetics. You get someone to be a Catholic by winning a war of apologetics. But let us consider, this Easter, that apologetics is both too intellectual and not intellectual enough for the depths of catching men by their heads. 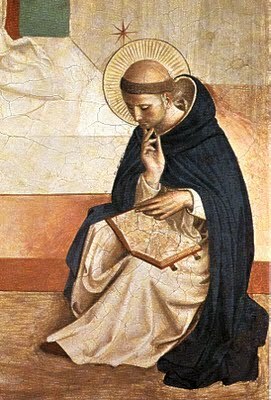 First, consider how profound our intellectual connection to the faith is. In fact, faith is an intellectual virtue. You can’t love God without having some sense of who and what God is. That doesn’t mean you have to exhaust the meaning of God. It’s impossible to have exhaustive knowledge of God, and it is love that brings us to know God better. It might be true that you can’t love what you don’t know—but you also can’t get to know what you don’t love, because love is what brings us to ponder who God is. That is all the more true of Jesus. We have to discover Jesus, have to have some knowledge of him, in order to fall in love with him—and then we only get to know him by loving him enough to gaze at him. Love and knowledge are a circle. So too with hope. We cannot hope in Jesus unless we have some idea of how Jesus can help us. Until we have some knowledge of the promises of Jesus, there can be no hoping in him—and living in that hope leads us deeper into knowledge of the promises. Faith, says a standard line, allows us to hope, and then, as we discover Jesus as our hope, as we know how much he helps us, we fall in love with him. And then that hope and love lead us back into deeper knowledge, deeper faith. And yet faith, trustful hearing of the teachings of our faith, is somehow the foundation of our life in Christ. And that means too that our knowledge of Christ is fundamental. It doesn’t end in our “heads,” but somehow it begins there. We build upside down, with the foundations in our heads. Now, on the one hand, that means apologetics often doesn’t take our “heads” seriously enough. 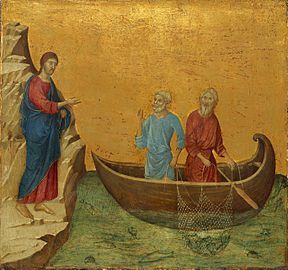 Sometimes it seems like, as with fish, we hope to “hook” people by their heads—then remove the hook and go on as if our knowledge of Christ was irrelevant once we’ve crossed the line into the boat of the Church. I discovered this personally in my Bible reading. There was a period, especially around the time I entered the Church (twenty years ago this Easter!) that I found myself reading the Bible only for apologetics. The Bible was no longer speaking to me, it was only a source of one-liners that I could use to “hook” Protestants. But the Bible is so much deeper than that. The Bible is our endless source of knowledge of Christ. For many Catholics, step one of discovering the Bible is to forget about apologetics, forget about what it says to “other people,” and start discovering what the Bible says to you. Faith isn’t something we use just to get people into the Church, and then we throw it away. Faith is the foundation of our whole life in Christ. From the pages of the Bible—and, yes, the Catechism, the great spiritual writers and theologians, the Magisterium—we nourish our faith, which leads us to hope in Christ and love him deeper, which leads us to seek his face again. Like fish, men are caught with their heads. But unlike fish, we never remove the hook, we must always be drawn deeper in. That’s the way that apologetics isn’t intellectual enough. But in another sense, apologetics is too intellectual. A standard way to phrase this is that it isn’t about “head knowledge.” I think that phrase misses the mark. It sounds like we should stop reading, stop listening to the readings, and somehow go some “heart” place, as if our heads weren’t connected to our hearts. Rather, say that the deepest knowledge isn’t about argument, it’s about meditation and contemplation. In the amazing readings of this last week, we discovered Jesus. We need to delve deeper and deeper into these readings. Deeper than apologetics, deeper than one-liners and proof texts, beyond any knowledge that we will leave behind once we’ve crossed the line into the Church. Rather, we should seek the knowledge that leads to hope and love, and in hoping and loving be drawn back to know ever deeper. 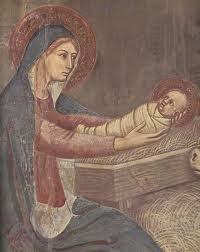 We should contemplate the face of Christ, on the page of Scripture. That’s how Catholics use their heads. How do you study the face of Christ? Easter allows us to state the Gospel in the simplest terms: The death and resurrection of Jesus are symbolic and causative (just as a sacrament causes what it symbolizes). And they symbolize and cause our moral death and resurrection. Just as Jesus died in the body, we are to die to our old way of life. Just as Jesus rose again, we are to live a new life. The new life is no less bodily, but it is a life from God and for God, and a life that never ends. Jesus’s death and resurrection don’t just affect him. They don’t just affect us emotionally, as if the main point of Good Friday was to be sad and the main point of Easter is to be happy. They are sad and happy, and they do affect Jesus, but that is not the main point. They don’t just affect our bodies, as if the Resurrection promises us only physical life after death. And they are not just encouragement. My silly new line with my students is, Jesus is not our Zumba instructor. It is not that he moves vigorously around in our sight, and then we have to do our best to imitate that vigor. The point of the Resurrection is that God is powerful to do what nature cannot do on its own. I am weak and he is strong. Jesus lives his life in the flesh to raise us to a greater life. Our participation in his death is sacramental. It’s not that when we physically die we will imitate Christ’s physical death and resurrection (though that happens too, as a consequence). It’s that his physical death, and our physical baptism, participate in a world of symbols that point to and bring about something greater: our moral resurrection. Christ was raised from the dead by the glory of the Father. So too it is only the glory of God that brings our new life: not just zumba-style imitation, but an influx of the light of God, bringing eternal life to our death. The new life we are given is not just more of the same physical life, but “newness of life,” that is, a new way of life, a transformed life, a new “moral” life, the life of the Beatitudes. There is a death we must die. But it is death to sin. It is a bodily death, and sin is in our body, our “body of sin.” But of course the Resurrection (not to mention the physicality of Baptism) cannot mean that bodies themselves are sinful, as St. Paul will say in a moment. An old way of being bodily—a bodily life that is “corruptible,” in both the corruption that is physical death and the corruption that is sin—is ending, so that we can live a new, incorruptible life, also in the body. The end is not death, nor is it the destruction of our body. The end is new life, in the body. His physical death is a sign of death to sin. His physical life is a sign of life for God. The consequence in us is that we live, in our bodies, a new life, no longer for sin but for God. Our Resurrection is above all a moral resurrection, the life of the Beatitudes. How do you pray the Resurrection?